MAYHEM: ISWG: Jury's In , or Out, or ...whatever. 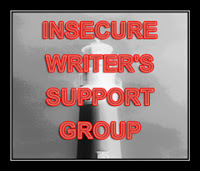 It's Insecure Writer's day - that Wednesday of the month when we insecure share those writing observations with other writers. Not a writer ? Stick around. It's a good party. Insecure Writer's Support Group. Above is a lovely cup of digital coffee shot by Julius Shorzman. Delightful, isn't it. I love this picture. I'm new at this and the best I could think of today was to discuss those dreadful minor characters we all loathe to work with because they're so much effort for their limited involvement. I love group dynamics. I enjoy working out in advance how things will turn in a meeting. I enjoy mapping the potential for cross-purposes and the degree to which unknown information is likely to influence the group's ability to reach a conclusion or decision. I have also learned for long experience that unless I map out a solution beforehand and prime the pump, the outcomes can be devastatingly counter-productive. Think of it as preparing the synopsis and pages before shipping the query letter. You're ready to drive the event chain and not respond haphazardly to the interim stages. I have a scene to write in which a disparate group will be given secret knowledge by my protagonist. The resolution to the external conflict is determined by the outcome of the meeting. I suspect we all have similar scenes to write. Let's set the stage and discuss the obstacles and potential solutions to group dynamics in fiction. I can tell you how I will run it down. Maybe some readers will have other ideas to share. Let's call this bit of Insecure Wednesday: The Jury Problem. The characters: We have a group of characters representing different perspectives. These are usually minor characters in that they don't last in the work beyond their contribution to resolution (or failure) of the external conflict. The have a role. Minor characters are always a pain. I'm going to differentiate minor characters ( say, the protagonist's boss who asserts some effect on the protagonist during the course of the story and so has an illustrated mechanism to drive the action in some way) and tertiary characters ( the cop on the beat, the girl behind the counter, the passer-by who first sees the body). Why are they a pain ? They have to be believable without being wooden. We can't rely on cliche. We have to have believable interaction without developing the fully realized backstory and motivations for each. Good secondary characters amplify the bona fides of the main characters. Here in the jury problem, we have minor characters who must also interact with one another which is its own little torture. We've pretty good at knowing the protagonist and what makes her tick. We're not so good when it comes to the other characters. What happens when they must interact in view of the protagonist so we have to tell the story but not control it with the protagonist's responses ? Think jury. The protagonist is in it but she doesn't dominate every conversation with every other juror. Sometimes the other jurors interact with each other. It's easy enough to give each character a simple baileywick - an area of responsibility or concern. Maybe in a scene we have to have interaction between a student (protagonist), a parent, a teacher, and an administrator. We've seen this many times on the screen and for convenience. I'll us it as an example. How to populate the scene with our protagonist - a boy student and the three minor characters who have some degree of influence over his fate in our story. Do we pick cliched versions of the archetypes presented by the roles ? No. It won't get read. We need the parent, administrator and teacher to have interaction about the protagonist while he is present but without his ability to influence the outcome. He's an observer and we see the scene through his eyes. Their interaction then becomes key. We need to understand how the characters will interact and through that illustrate their traits in the show-don't-tell manner. How do we remedy the problem of wooden characters ? How do we avoid relying on cliches ? I look to the Meyers-Briggs Type Indicator which is a Jung inspired mechanism for classifying personality. The basics come from four pairs of dichotomies describing an introvert v. extrovert, sensing v. intuition, thinking v. feeling, and judging v. perception. If I know how the minor characters view the events and people around them, I have a better chance of crafting dialogue and planning actions which seem consistent with humans. 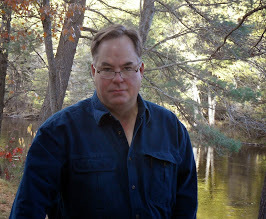 They'll also be more likely to perform in some degree like humans I've known and can rely on as branches to grasp in the racing flood waters of a story I am crafting from thin air. I flesh out a character in my mind based on how they might interact with others in our group. If I make an Administrator an uneasy authority figure who is Introverted, Intuitive, Feeling , and Judging I have a real piece of work whose preconceived self-importance and passive-aggressive response to direct conflict will remove her from the archetype of "judge" in the scene to one of "instigator." Maybe, this minor character feels better about herself when she is able to cast the performance of others negatively against her standard and reflects this view only in response to another character's prompts. My administrator doesn't volunteer solutions or compromise. She suggests any other course of action that isn't her "best way" might be grossly inferior and - importantly - resists revealing her "best way" until after some other line of compromise is emerging. She won't share her own idea first but will respond how something else isn't optimal and then allow the other characters play guessing games about what will satisfy her interest as authority. Ah - this little bit from "IIFJ" gives me the clues and insight I need when writing a dialog at the school as to how she'll respond to the other characters. I don't know where she went to college or what she had for lunch. I do have a pattern of action for one of my four characters in the room which I suspect I can craft to dramatic effect with a suggestion of realism. Note - I'm not advocating actual realism in dialogue. No - we need to move a plot and not do whatever we normally do as humans in real life. That means dialog is a dramatization and characters are motivated by my whim and not their own independent thoughts. My goal in writing a scene is to move the plot, reveal something about the character, and make what I present believable. I don't want to break the immersion of the reader by something unacceptably strident. A cliche is unacceptable. Stilted dialogue that reads like an answering machine message is unacceptable. Need to map out how characters might respond one to another ? Need to make the group action believable ? A quick place to start for crafting the outlook of these folks (and thus their roles in your scene) is the Meyers-Briggs Type Indicator. A resource for understanding this trait pattern can be found here. The Meyers-Briggs foundation is a practically organized affair who work to make tools understood. Have a roomful of folks ? Need to figure out the scene ? Wonder how the minors interact ? A MB map can be just the thing to get you through it and onto the other side. Wow! I hadn't thought about using a Meyer Briggs indidcator for that. I think that sounds like a great idea! I like the Emotion Thesaurus for helping me with pesky moments when I can't seem to show my character's emotions without telling about them. Thanks for the informative IWSG post!!! Best of Wishes for 2013! Thanks ! A happy 2013 to you too ! I haven't figured out my character stuff, but I have a few approaches that have sometimes been helpful. One is to keep in mind 'Every character is the hero of their own story' - they have motivations and challenges of their own, which probably don't involve the way they role they're playing in the story you're telling at the moment. Also, trying to figure out what emotional reaction I want the reader to have to each character and bearing that in mind is useful. I will definitely put your bit of "every character is the hero of their own story" in my notebook. Excellent point. Thanks for stopping by and for the great perspective.